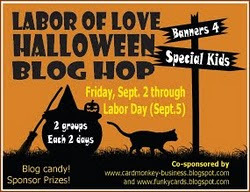 Karber's Blog: Labor of Love Halloween Hop! Labor of Love Halloween Hop! Hi friends! Karber is a proud sponsor of the Labor of Love Halloween Hop! A group of talented ladies made Halloween banners that will be donated to the special needs children who reside at Pediatric Specialty Care in Point Pleasant (Bucks County), PA. This is a 4 day hop. Today is the first day, check out Ellen's blog over at Card Monkey to see all the details about it. Thank you for sponsoring the Labor of Love Halloween Blog! Trick no it's such a treat that you are offering such lovely blog candy. 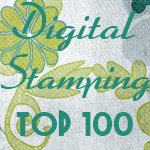 During the Labor of Love Blog Hop!!! "What a good GHOUL you are for sponsoring the Labor of Love Halloween Hop happening today." Spooktacular of you to sponsor the Labor of Love hop.